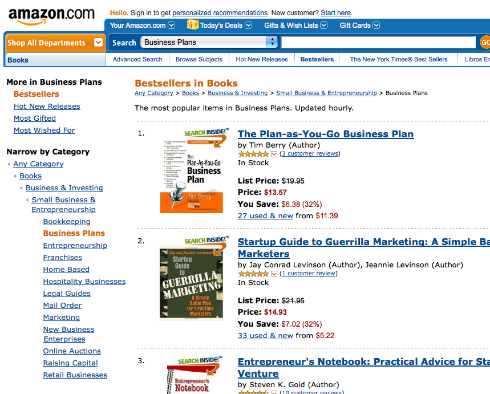 These things go up and down, but I'm proud to share that -- at least as I write this -- The Plan-As-You-Go Business Plan is the number one ranking for business plan books at Amazon.com. A tip of the hat to the team at Entrepreneur Press, because the book was barely finished in May and it's already available now -- July 25 as I write this, but it's been a couple of weeks. You can order it now at amazon.com, it should be on the shelves at Barnes & Noble stores and is available online at the Barnes & Noble website.